THE AUDIOVISUAL MEMORY OF THE NAZI ERA remains vastly dominated by official images created by the Nazi propaganda machine. To address this shortcoming, the Museum collaborated with the Austrian Film Museum and the Ludwig Boltzmann Institute for History and Society to highlight a collection of ephemeral films mostly shot by amateur filmmakers. 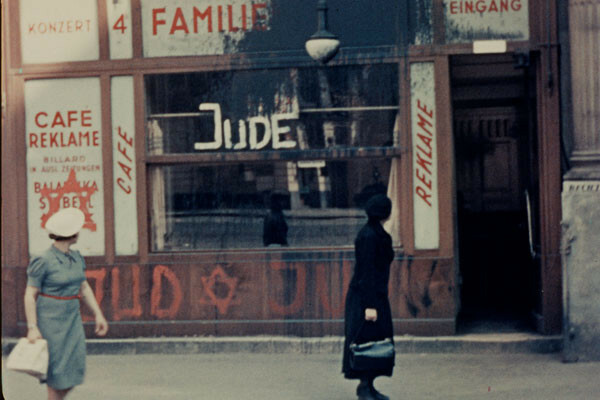 The films depict vibrant prewar Jewish life in Austria, the turmoil of the Nazis taking power, and the persecution of Jews after the Anschluss, including films shot by Americans. An innovative web application, based on open-source technology, dynamically displays an extensive geographical, historical, and academic analysis of each film.